My last review was about a local radio station that I really liked mostly due to the fact that they did not play any advertisements but it was too good to last. Shortly after I endorsed them they turned into a regular radio station with plenty of commercials and playing popular music like many other stations. Over a month ago I came across a new station that plays new wave music mostly from the 80's. 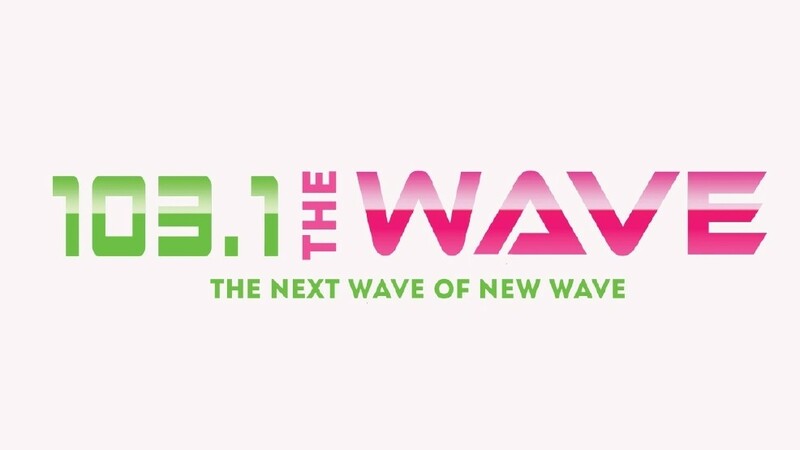 It is 103.1 "The Wave" and I have really enjoyed hearing so many songs I had not heard since I was in high school. 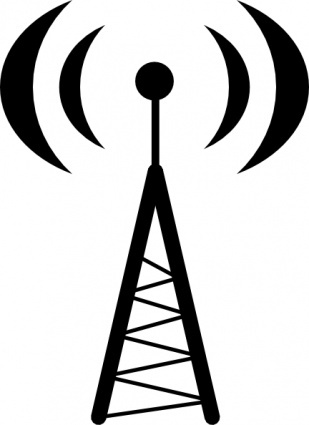 This station features artists like: Yaz, Peter Gabriel, Modern English, Flock of Seagulls, The Human League, Duran Duran, Depeche Mode, Talking Heads, Devo, Oingo Boingo,The Cure, Tears for Fears, Eurythmics, Psychedelic Furs, INXS, Madness, The Thompson Twins, The Fixx, Erasure, B52's, Wall of Vodoo, Adam and the Ants, The Smiths, Thomas Dolby, etc. I like hearing music that takes me back to a time when I was young and had so much energy. It's amazing how many memories music can bring back. For instance, whenever I hear Spandeau Ballet's "True" or Billy Idol's "Mony Mony" I am taken back to high school dances and can feel myself in a dark, crowded, sweaty gym full of nervous teenagers. I'm not a fan of either of those songs but they bring back lots of memories. 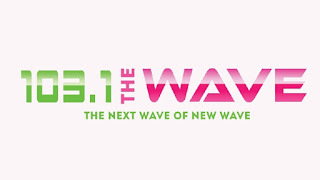 Anyway, if you getting tired of hearing the same pop songs on the radio and would like to re-discover some fun music from a great time period then I recommend 103.1 The Wave. A couple weeks ago I stopped by Arbys with my boys to get something to eat. We would have preferred to eat out somewhere a little more formal but we only had half an hour until we had to be at a meeting. I placed our order and after the two ladies in front of us. Usually a fast food order is delivered in under 5 minutes but this was taking longer. A couple people came in after us and ordered their food after us as well as several drive through orders. They all got their orders after a few minutes of waiting. There were only 3 employees working and they were working hard but I was confused because we had been waiting 10 minutes and even more customers had come in after us they all got their food pretty quick. 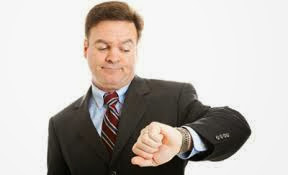 I've seen jerks give fast food employees a hard time and I'm a nice guy so I just waited patiently. I was still standing in the lobby in view of the girl who took our order so it's not like she forgot about me. 15 minutes later I was still waiting but now my arms were crossed. She just smiled and assured me they were working on the order. I did not put in a special order for Baked Alaska so I was baffled why it would take so long. At the 20 minute mark I asked her why nearly 15 orders for people who came in after us had been filled but not ours. She asked my name again and it turns out another customer had the same first name so when they filled his order someone swiped our order from the computer as being completed. I was still baffled how she could watch me standing there for 20 minutes and not realize something was wrong. She apologized and threw in a free order of french fries when she finally got us our food. We inhaled our meal in under two minutes and ran out the door since we were late to a meeting at that point. 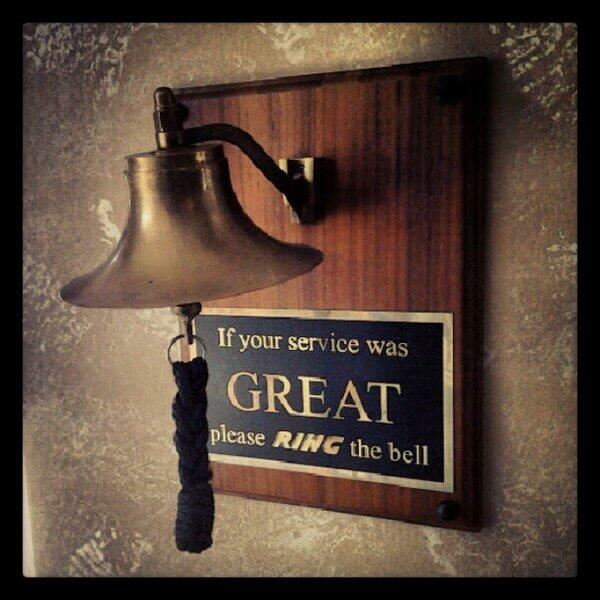 It was one of the few times I didn't ring the bell on the way out. I am not trying to bash Arbys. It is one of my favorite fast food places and they usually have great service. I was even hesitant to mention their name in this post since it is not like them to be so slow. What I really wanted to point out with this is the fact that you will always get served faster and avoid a problem like that if you go to the drive through instead. Drive through customers are served much quicker than those who go in a fast food place for a face to face order. If they don't service the drive through quickly they have a traffic jam and can't take any new orders, but once you are inside and have ordered they can continue to take more orders so there is not the same urgency which is a little ironic since you are face to face with the customer instead of speaking to them over a speaker. So the moral of the story is if you are in a hurry and are going to get fast food somewhere, use the drive through! Just make sure and check your order before you drive off. Shawn Mikkelson, Rischelle Mikkelson, Darrell Mauerman, and Richard Beach. Despite this being a new venture, they have a combined total of 84 years experience behind them. Shawn is the founder and CEO. He earned his graduate gemologist degree from the Gemological Institute of America (GIA) and has 20 years in the jewelry business. 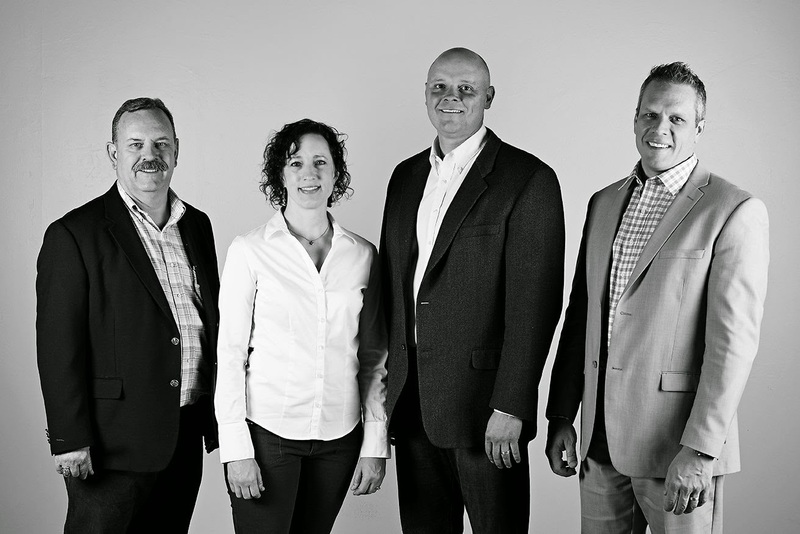 Rischelle is the CFO and has 16 years of experience developing and running businesses. Darrell is the store director and has 15 years experience in the jewelry industry. Richard is the goldsmith and has 33 years experience making and repairing jewelry. Forge sells and repairs all kinds of jewelry, but engagement rings are their biggest market. Of those engagement rings, over 80% of them are custom rings. Many jewelry stores want to to sell you what they have in their inventory and Forge has some very nice rings in the store to choose from, but they also allow you to create your own ring instead of being limited to what a store has in stock. With changes in technology and the ability to do so much shopping online, people these days have a pretty good idea of what they want by the time they go to a jeweler. 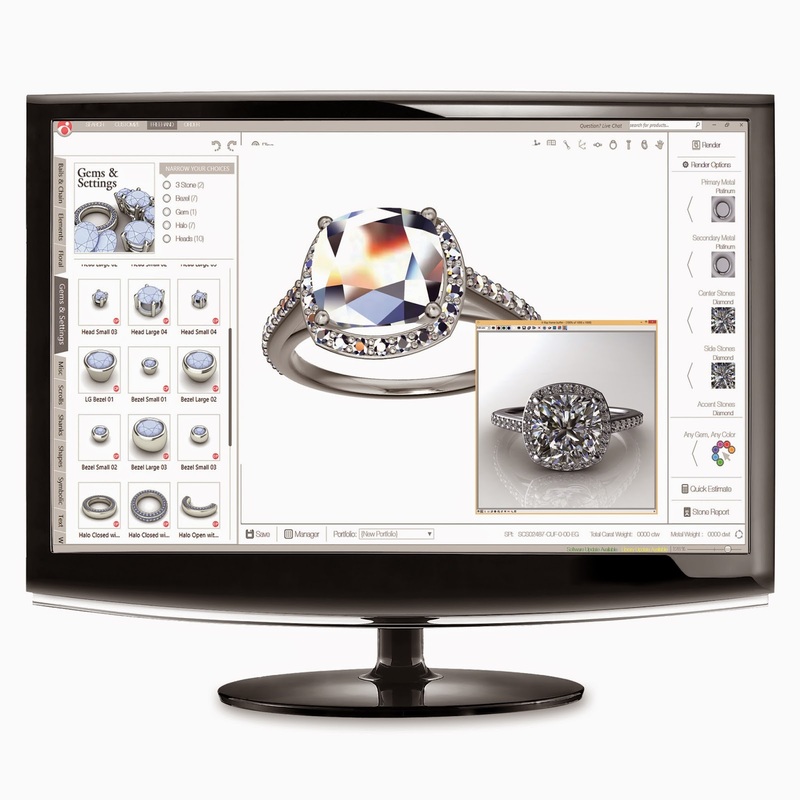 Forge Jewelers have invested in CAD (computer aided design) technology to help them create almost any imaginable design. 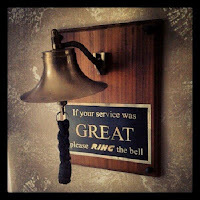 A customer can come in with an idea, picture, or sketch and they can help them create a unique ring made to their specifications. When they showed me how this software works I was blown away. It is a game changer when it comes to helping people design their own jewelry. 1) They put the customer at the center of the process. Unlike the car salesman who wants to sell you what he has on his lot, they want to make sure the customer gets exactly what they are after. If they don't have it in their store then they will help you create it. 2) They have over 84 years of combined experience. 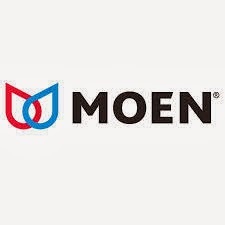 They are knowledgeable and experienced and have helped thousands of customers with their jewelry needs over the years and understand the ever changing industry. 3) They offer custom work at non custom prices. Traditionally custom work could be cost prohibitive, but due to technology and being a store that specialized in custom work, they are able to offer custom work at regular prices. Their store design is unique in layout and refreshing and is different from the typical jewelry boutique you may have been to in the past. Even the bathrooms are decorated with a cool theme that any guy will like. 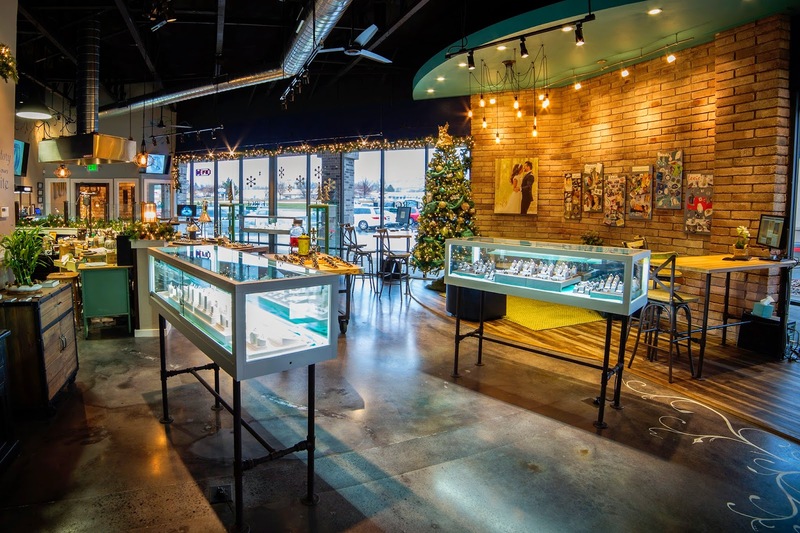 Forge Jewelry Works is located at 2255 North University Parkway, Suite #1 in Provo between Pizza Pie Cafe and 24 Hour Fitness. Their hours are Mon-Sat. 10 a.m. to 6 p.m. and Fridays they are open until 8:00 pm. 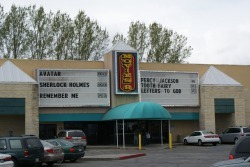 Their phone number is 801-704-7020. You can visit their website at forgejewelryworks.com. Anyway, it has been about 5 years since that happened and due to my extremely hard water the replacement head was not working like it should. I just called their 800# and they shipped me out a new replacement free of charge with no questions asked. I wish other companies were so eager to please. Last week I was on a short lunch break and I decided to swing by a local fast food establishment and order their chicken sandwich special that they were advertising. I went inside and ordered the sandwich and a small fry from a person over their speaker system. I waited patiently as I watched other people come in the store and order lunch. After a while I noticed people who came in way after me were getting their food but I was still waiting. I don't want to rip on this establishment since they usually offer good service, but I will tell you they have car hops on roller skates who deliver your order and the chain has the same name as a hedgehog. It didn't really look like they were short staffed but the girls who were delivering the food were very stressed out. I'm a nice guy and I can't stand people who are quick to complain about service so I kept waiting past the 15 minute mark. I finally told myself they obviously lost my order so I tried to notify someone but the employees were running around in such a frantic fashion that I could not get their attention. The only way to speak with someone would be to walk back to where they prepare the food which I am sure would not go over well . Just as I was about to get more assertive and be a jerk I saw one girl burst into tears when she went to pick up her next order because a manager was yelling something at her. The only person I could see who seemed to be in charge appeared to be lethargic and uninterested with what was happening. I was going to leave and go somewhere else but I figured it would take even longer if I had to go get in a line somewhere else and my lunch time was far spent. I was getting ready to say "this is Sparta" and kick someone in the stomach when I was finally able to stop someone at the 25 minute mark and tell them I ordered nearly half an hour ago and had not gotten my food. She apologized and brought me my order exactly 30 minutes after I originally ordered it. I was hoping for some kind of acknowledgement or apology like a coupon for a free sandwich or comping the fries, but my order was delivered by the same girl who was previously crying a few minutes earlier and I didn't want to make her crappy day at work worse by complaining to a manager. I decided it wasn't the fault of the girls who were car hopping but rather whoever was managing and taking orders at the time. It was very slow and unorganized during the lunch rush. This isn't the norm for this establishment and the sandwich was actually quite good when I finally got it, but it wasn't worth a half hour wait for fast food. Then I went home and lived happily ever after.